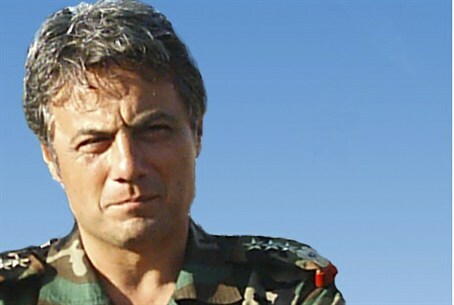 General Manaf Tlas, who defected from Assad's regime this month, is confirmed by President Hollande to be in France. A Syrian general and one-time friend of President Bashar al-Assad who fled Damascus this month is in France, President Francois Hollande confirmed on Tuesday. General Manaf Tlas, a member of Syria's Sunni Muslim majority, had been reported to be in Paris with his family, but has yet to speak publicly since defecting, Reuters reported. “We have been informed about this situation. He is here,” Hollande was quoted by the news agency as having said at a news conference with his Tunisian counterpart, Moncef Marzouki. French Foreign Minister Laurent Fabius said on July 12 that Paris was aware that Tlas was in talks with the Syrian opposition about a possible role in efforts to oust Assad. “I can only express my anger and pain to see the army forced to fight a battle against its own principles. It is a battle being led by security forces in which the people and ordinary soldiers are the victims,” the statement said. Tlas is quoted as saying that he had refused to take part in the security crackdown and as a result had been isolated and accused of being a traitor. “My conscience and convictions drove me to oppose and distance myself from this destructive crackdown,” he said. Reuters noted that neither Tlas’ brother Firas nor Syrian opposition members in Paris were able to confirm the statement's veracity. A statement claiming to be from Tlas in the immediate aftermath of his defection on July 6 proved to be fake. Meanwhile, Syrian rebels battled government forces backed by air power and artillery on Tuesday in the fiercest fighting to hit Damascus since the revolt against Assad erupted more than 16 months ago. The United Nations Security Council is due to vote on Wednesday on a Western-backed resolution that threatens Syrian authorities with sanctions if they do not stop using heavy weapons in towns, but Russia has said it will block the move.